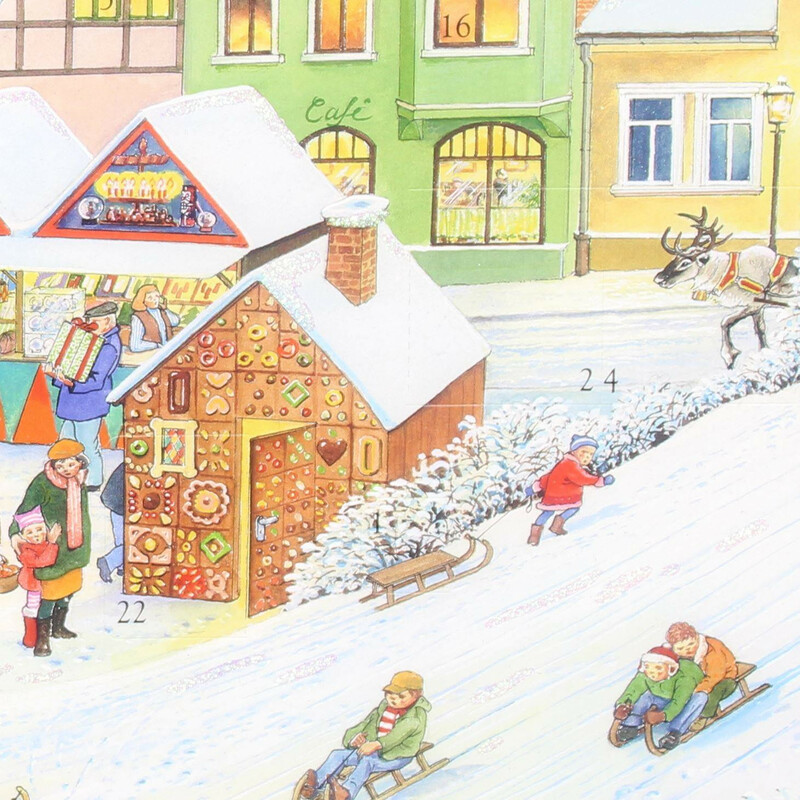 A traditional, chocolate-free advent calendar with 24 windows that open to reveal a beautiful, Christmassy illustration designed by Alison Gardiner. 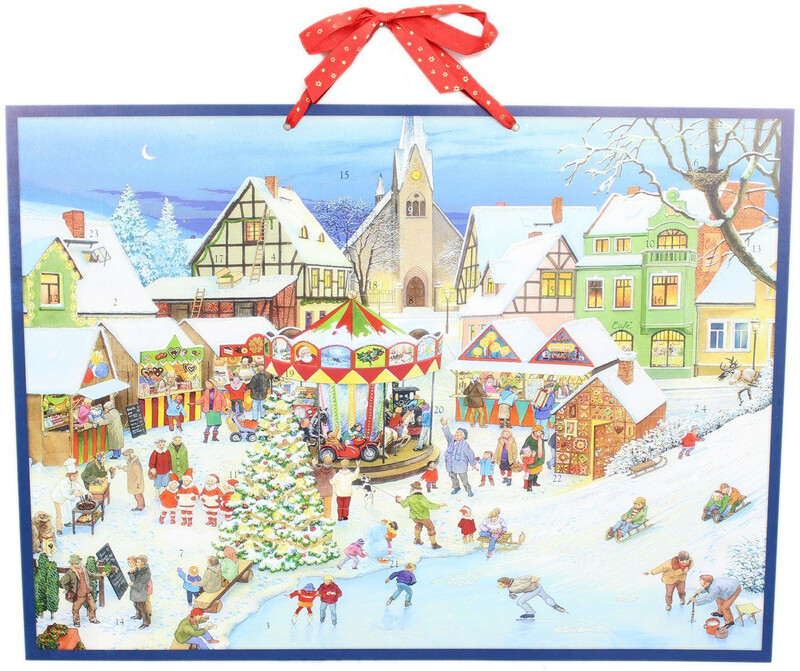 The Advent calendar features a wonderful snowy town market scene. 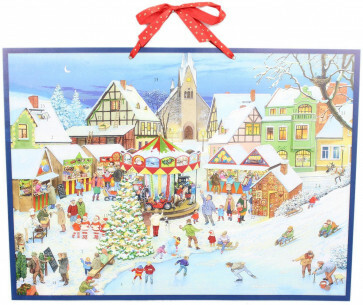 Carol singers are carolling, roast chestnuts are for sale and children play on the carousel. Embellished with glitter, it's a lovely way to decorate and countdown to Christmas Day. Hang from the starry red ribbon.